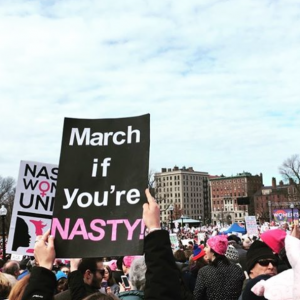 The Boston Women’s March rallied over 135,000 distressed protestors. The event organizers originally estimated a turnout of 25,000, however, their calculations were quickly proved incorrect – by the 17th of January, 60,000 had registered for the march. Unsurprisingly, Trump tweeted, “I don’t always agree” in response to the protests, however recognized “the rights of people to express their views. Hypocritically, Trump proceeded to ban EPA employees from from publishing press releases and more generally communicating with the public.